Have you ever wanted to not waste time? Well, you might not be able to in real life, but you now can in video game form! Introducing Don't Waste Your Time! 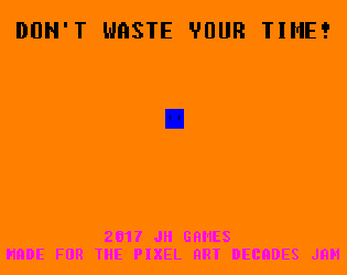 A puzzle game about not wasting your time. It's as simple as that. Picture will be coming soon.